Edna Flagg (left) and other participants of a Cooking Matters class made a white bean basil chicken chili on Tuesday. Cooking Matters is a free program sponsored in part by the Good Shepherd Food Bank that helps adults learn how to prepare healthy meals and stretch their food dollars. 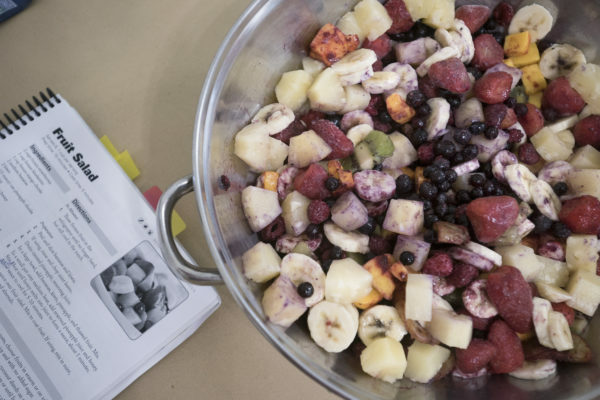 Participants in a Cooking Matters class made a fruit salad and white bean basil chicken chili on Tuesday. Cooking Matters is a free program sponsored in part by the Good Shepherd Food Bank that helps adults learn how to prepare healthy meals and stretch their food dollars. Participants in a Cooking Matters class work on making white bean basil chicken chili on Tuesday. Cooking Matters is a free program sponsored in part by the Good Shepherd Food Bank that helps adults learn how to prepare healthy meals and stretch their food dollars. 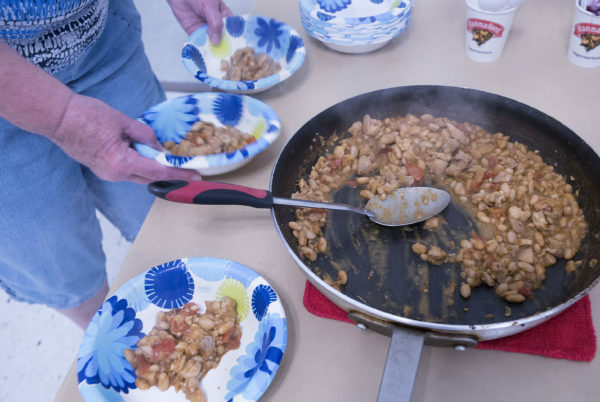 Participants in a Cooking Matters class made a white bean basil chicken chili. Cooking Matters is a free program sponsored in part by the Good Shepherd Food Bank that helps adults learn how to prepare healthy meals and stretch their food dollars. Participants in a Cooking Matters class gather as the meal was ready. Cooking Matters is a free program sponsored in part by the Good Shepherd Food Bank that helps adults learn how to prepare healthy meals and stretch their food dollars. Beth Birmingham is a nutrition educator with Cooking Matters, a free program sponsored in part by the Good Shepherd Food Bank that helps adults learn how to prepare healthy meals and stretch their food dollars. 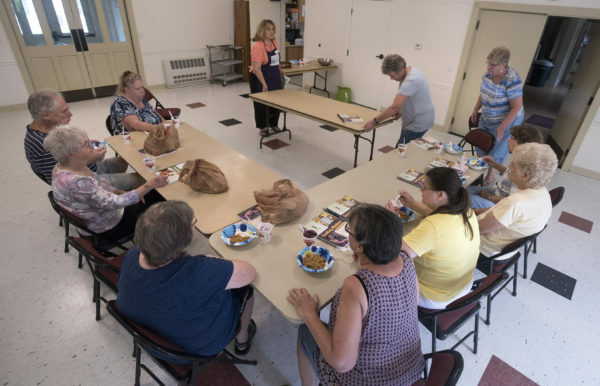 UNITY, Maine — When George Gavitt of Thorndike carefully chopped and measured ingredients in a recent cooking class, he was the lone man in a roomful of women. But Gavitt, 63, didn’t mind being a little bit different. The Cooking Matters for Adults class he has been taking at the Unity Community Center is friendly, inclusive and full of good ideas about how the participants can learn to make healthy meals on a budget. And that’s important to him and the rest of the participants. He’s clearly in the right place. The kitchen at the community center is bustling with activity and full of delicious smells, as students chop chicken, saute diced onions and prepare basil and cilantro. 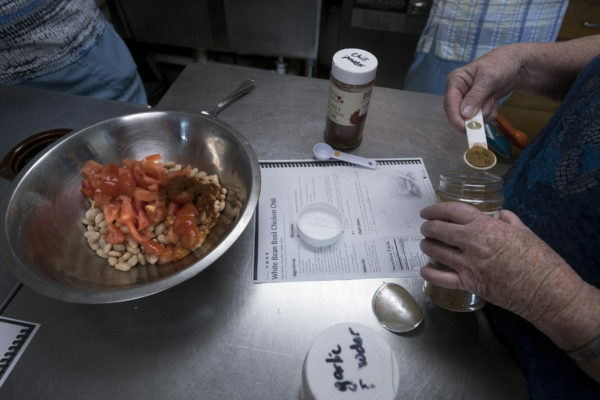 They’re making white bean basil chicken chili, a healthy, economical recipe that also tastes great, according to Beth Chamberlain, the nutrition educator who is teaching the course. 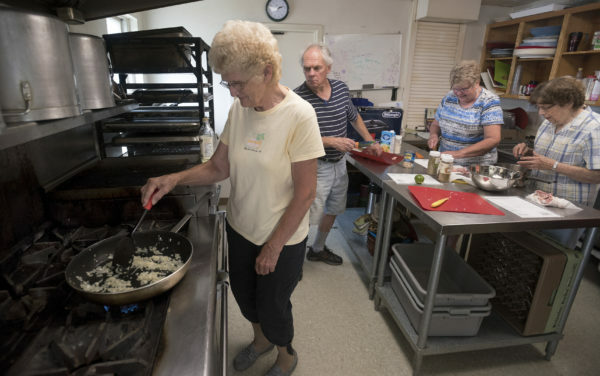 In Maine, Cooking Matters has been providing low-income people at risk of hunger with hands-on cooking and nutrition classes led by volunteer professional chefs and nutritionists since 2010. The classes are free and full of practical tips, and at the end of each class students receive a bag of groceries and recipes to try at home. 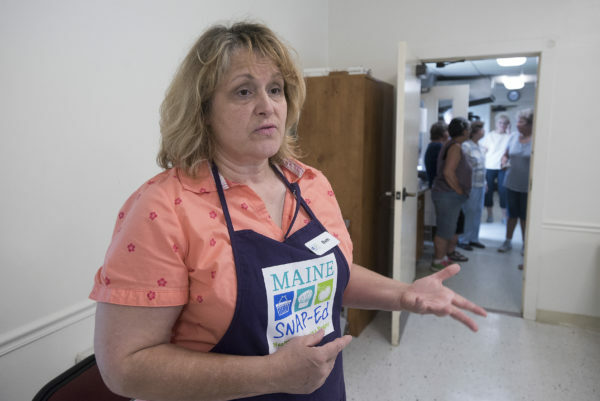 Cooking Matters is provided through the Good Shepherd Food Bank, and classes are offered in every county with the help of partner programs including the Maine Supplemental Nutrition Assistance Program, or SNAP-Ed. There have been more than 10,000 participants so far, according to Courtney Kennedy, the nutrition and education manager at Good Shepherd Food Bank. She said the programs are offered in locations that have a high low-income population, or where at least 50 percent of the students in the school district qualify for free or reduced lunch. Adults of any ages can participate in the classes, but in Unity most of the 13 people in the room appear to be in their 60s or older. Here, they learn about reading food labels, practice good knife skills and brainstorm ideas for eating smart when eating out. They discover ways to customize suggested recipes and strategies for shopping on a budget. 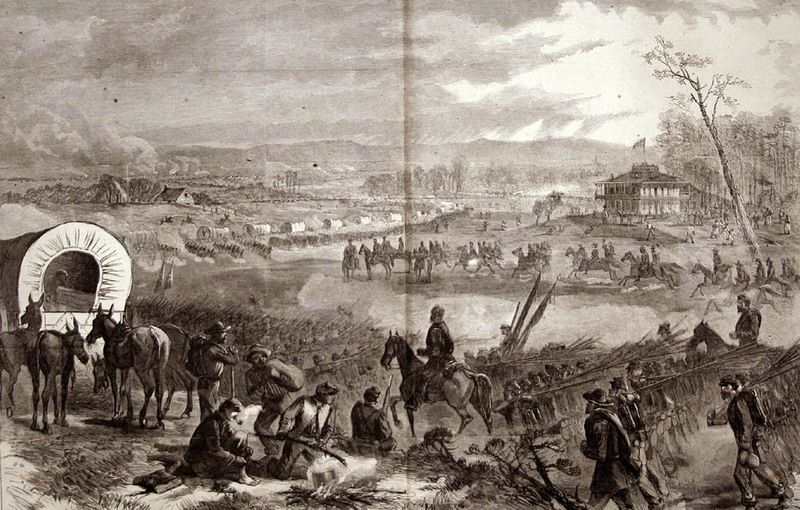 And in addition to being educational and useful, the classes are often a lot of fun, Birmingham said. As the chili simmered on the stove and a giant fruit salad came together for dessert, it was clear the students were enjoying themselves. Carolyn Wingate, 83, of Thorndike said she’s been learning a lot and laughing a lot, too. Last week, she and other participants learned to make turkey tacos, which were a big hit at home. Sandi Fernald, 61, of Unity said she has been loving all the new recipe ideas. Fernald, who proudly says she is on a weight loss journey and has lost 50 pounds over the last six months, is looking for new ideas. Through Cooking Matters, she has sampled mangoes and the ugli fruit, an unusual-looking citrus fruit. She’s also learned about shopping the outside perimeter of the grocery store as a way to avoid the processed foods that are generally located in the center aisles. Betty Curtis, 68, of Unity said her reason for joining the class was straightforward.